According to sharecare.com, doctors previously worked an average of 105 hours per week. In the yrear 2011, the Accreditation Council for Graduate Medical Education mandated that residents work no more than 80 hours per week. They also ruled that continuous duty for a resident can be no more than 24 hours, and that residents must have one day duty-free every week. This is an improvement, but doctor burnout still occurs. This is understandable as an average person may work only 40 hours a week. One solution is resilience training for medical students. Another solution may be the education models put out by the AMA, or American Medical Association, which address burnout in online modules. We are convinced that unconditional self-care behaviors are the missing piece in mainstream stress management and lifestyle programs, preventing new habits from becoming permanent lifestyle behaviors. Our approach corrects that! LOVE2CARE is a 90 day clinical trial looking to teach healthcare providers – residents, doctors, nurses – to manage their stress, reduce their burnout rates, while improving their health and well-being, which decreases mistakes and improves overall patient care. By providing healthcare professionals with practical tools for a healthy, balanced lifestyle, and to overcome emotionally stressful situations in an effective and fulfilling way, we improve healthcare providers' stress perception, performance, and well-being, thus optimizing provider-patient and provider-provider relationships. This ideally creates a ripple effect that positively transforms current healthcare/hospital culture. 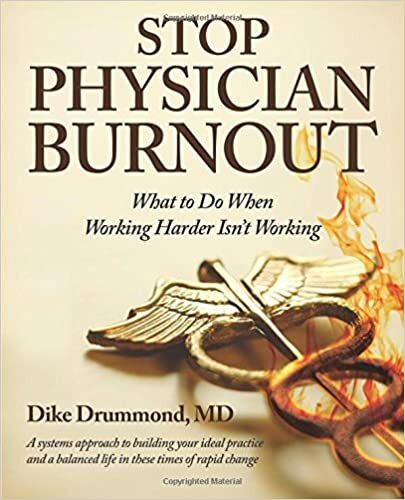 You might find it helpful to read a book titled Stop Physician Burnout: What to Do When Working Harder Isn't Working by Dike Drummond, MD. In the book, Dr. Drummond talks to the reader about physician burnout symptoms and tells the reader about a three-step process to build a better practice. According to a 2016 paper published with the Journal of General Internal Medicine, as a result of doctor burnout, the patient experience suffers. Grants can be a great way to fund resilience training or other training to help doctors prevent a degredation in the patient experience or bedside manner. In fact, two deadlines are fast approaching for grants that help improve healthcare delivery and the patient experience. At GrantWatch.com, you can find Fellowships to USA Doctors for Long-Term Projects to Improve Healthcare Delivery as well as Grant to a New York City Medical Facility for an Innovative Program to Improve the Patient Experience. The deadline for the Fellowship is 4/19/2016 and the deadline for the grant is 4/4/2016. To read the full documents, subscribe with us at GrantWatch.com today! Applying to this Fellowship may open doors for some lucky students. And submitting an application for this grant may even help improve clinical outcomes. If you have an idea to help raise money to support doctor training, consider opening a crowdfunding project at Uhelpfund.com. Let the people contribute to this great cause. Select from the 100 categories or choose Health and Health Sciences or Medical, Illness & Healing. If your nonprofit or small business is interested in a grant writer to help support excellent patient care, contact us: (561) 249-4129.